LeMans 2014, feeds for an incredible fight for 2015. Although I’m not too ecstatic of Audi winning this years Le Mans in the LMP1 category, I can’t wait to see what is going to happen next year. Toyota and Porsche gave a hard fight, but their issues were more “permanent” then the Audi turbochargers failing. 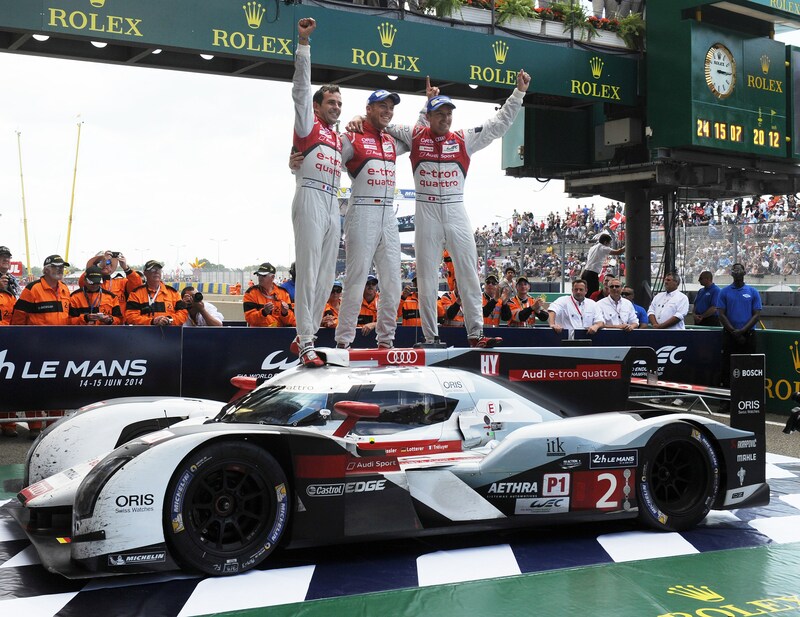 Audi will definitely need to step up their game to keep Porsche and Toyota from grabbing wins in the LMP1 class. Also congrats to Ferrari and Aston Martin in the GT classes. Awesome driving.